While most people know of NAIT’s culinary hub, many may not be familiar with this neighbourhood gem nestled in the strip mall across 118th Avenue that you won’t want to miss, especially if you’re in the mood for Thai food. 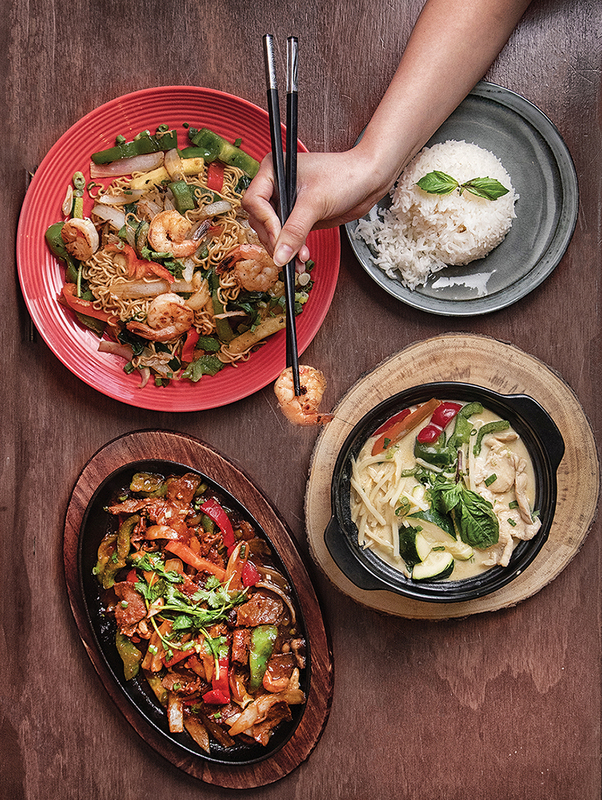 Lan’s Asian Grill is a family-owned restaurant that serves rice and noodle dishes, curries, soups and stews, all carefully made with simple ingredients and served with a smile. The spring rolls are perfect and the green onion cakes are better than any you’ll find on Whyte during the summer (a controversial statement, I know). Lan’s does pick up and delivery, but it’s best to dine in, to experience both the quality of food and service. – C.S. Unless you were specifically looking for it, you’d likely never spot Turquaz Kebab House amidst the plethora of shops in the Skyview Power Centre strip mall — and trust us, you should be looking for it. Thanks to the charcoal fire barbecue, you can smell the aroma of sizzling meat the moment you step through the doors. The menu offers a variety of grilled dishes, and for the indecisive, the trio kebab platter is the only way to go. You get one kebab each of chicken, kofta, and beef or lamb, paired with generous portions of rice, salad, fries, hummus and toum, a delicious Lebanese garlic sauce. Everything is fresh and absolutely delectable. – A.M. The tables during a weekday lunch rush are pretty well filled; that’s the attraction of serving homey Mexican food in an Argyll Road area that’s filled with national chains. Located in a strip mall, Huma’s colourful decor hits you like a rainbow to the face when you walk through the door. It really has become a draw for those who work in the area, and it’s worth the trip for those of you not on the south side. Try the beef-tongue taco; the meat is ultra-tender, almost delicate, with just a hint of spice that hits you at the end. (Of course, add some homemade salsa if you wish.) – S.S.